In a previous post in this series we took a look at how the method used to cut a stone contributes to its finish. In this post I will continue the discussion of stone finishes by looking at stone treatments and why they play a part in the overall finish of a stone countertop. A honed finish lacks the reflective shininess that would be result of a polished stone. However, achieving the result is accomplished with grinding and sanding – the same process as polishing. 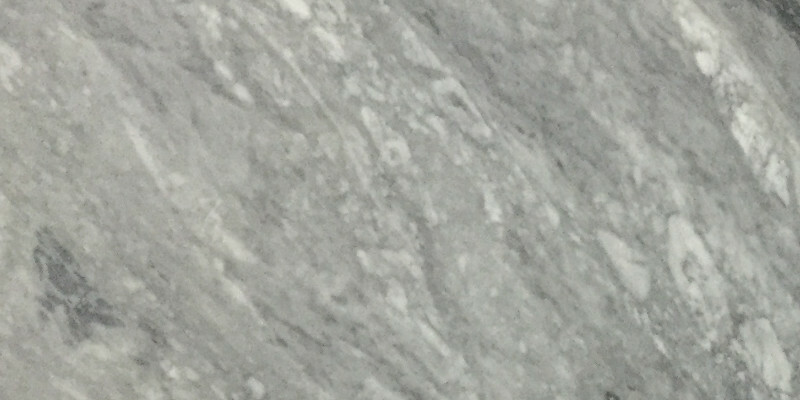 Therefore, the feel of honed marble is satin-like and has more of a velvety feel to the touch. As a result, this kind of finish is great for high traffic area and is relatively low maintenance. Honed finishes are very scratch resistant. A sandblasted stone has a rough finish. The stone is blasted with sand through a high pressure tool until the process produces this finish. Although the finish is rough, it also looks tidy. To achieve a polished finish, stone polishing tools are used to grind, buff, and sand the surface of the stone. Because the stone professional continues the treatment process until the desired look is achieved. Hence, the stone can be treated until it reaches a high gloss. The treatment can be completed to varying degrees. If enough patience is exercised, the professional can even end up with mirror-like finish. A flamed surface is one that has been exposed to a flame. The flaming process burns most of the carbon content of the stone. Additionally, the flame also gently discolors textured quartzites. Hence, the result is a very distinct look on the surface of the stone. With flamed stone, the rock is soaked with water before it is exposed to flame. The water will have soaked into the pores of the stone and will expand into a gas when heated, causing a series of small explosions. This makes the surface pocked while still being flat, creating a sort of artificially natural look. 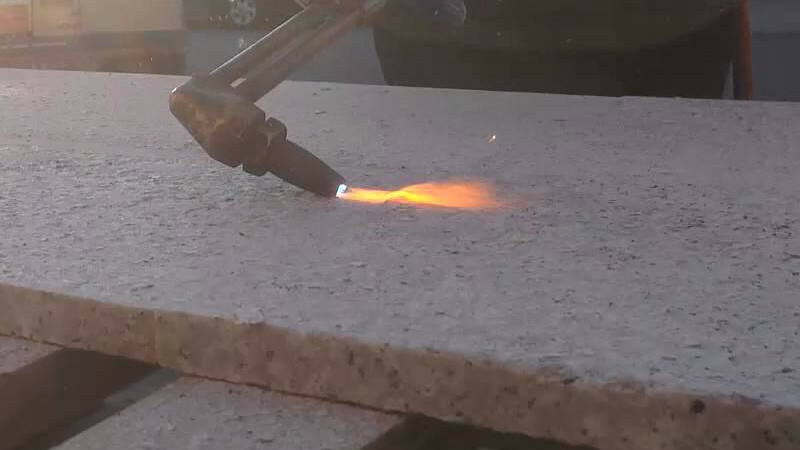 I’d suggest seeing a sample of the flamed stone you want before purchasing so you know what the “after” look and feel will be, since it will change from stone to stone. Those are some good points Elizabeth. Thanks for the information regarding the “soaking”. Additionally, It is always a good idea to see samples of any kind of “treatment” before committing to it. So, we appreciate your comments on that as well.